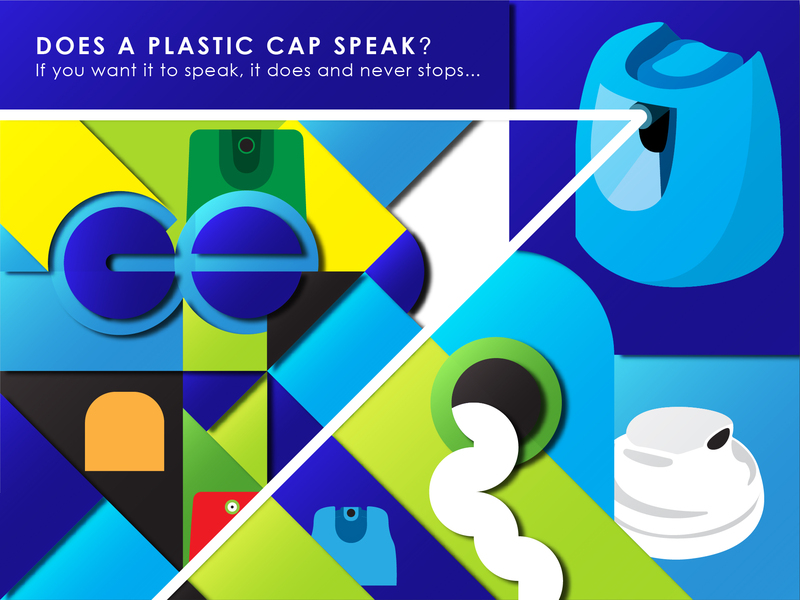 DOES A PLASTIC CAP SPEAK? The cap is the same age as human history. Humans felt the need to wrap and store excess nutrients with various natural ingredients to reuse them when necessary. Today, it is used not only for wrapping and storing but also for different functions and marketing instruments. Horizontal or vertical spray, color, design and strength make the caps a vivid object. After these steps, the cap becomes one of the most important factors that affect the consumers’ decision to buy the goods. Because the cap speaks to the consumer and persuades him to make a purchase. The ability to hold the product on the market is directly proportional to the language the cap speaks. The fact that some caps with original form can be recognized immediately without the visual icons on them, is an open confession about the satisfaction of given to the consumer. So the design is the universal language that the plastic cap speaks. The more innovative the design of the lid and the more unique it will be, the more attention your plastic lid will draw. At this stage, we can begin to understand the language that we can define as the plastic cap itself. The cylindrical shape of the product ensures robust and easy assembly from the manufacturer’s point of view; whereas flat or angled caps make it easier for the consumer to transform. The cap should be reasonably designed and able to express itself around. The beauty and value of a cap can only be achieved if a shape that attracts attention is given to it. Retro or modern trends play an important role. Color and ornamentation is an indispensable element of design. Because both are basically a psychological necessity. Colors are influential in human psychology and consumers’ purchasing decisions. The colors you choose may also cause the plastic cap to say “take me, pick me up” or “stay away from me”. Watch out for colors! Of course, the location where the product will be sold is also very important. The right design in the right locality should always be your motto. It is not that difficult to make a cap speak, nowadays. The global producers by developing themselves day by day, can produce the designed plastic caps, and offer design and technology together. Guven-El, understands from the language of plastics, which is described above, accepts design as an art. Güven-El always goals to make it caps speak. Development of plastic cap technology has brought new raw materials within it, which resulted the production of more useful and more revealing plastic caps. Guven-El presents plastic caps for the translation of products between producers and consumers, who speak different languages ​​by blending developing technology and design of art.